Nikki Haley, United States ambassador to the U.N., was evacuated from a U.N. displacement camp in South Sudan on Wednesday, per ABC. She was meeting with South Sudan's President about the country's civil war, and the evacuation was due to a demonstration against the president. After Haley was evacuated, "U.N. security guards fired tear gas to disperse the crowd of more than 100 residents who looted and destroyed the office of a charity operating there," ABC reports. 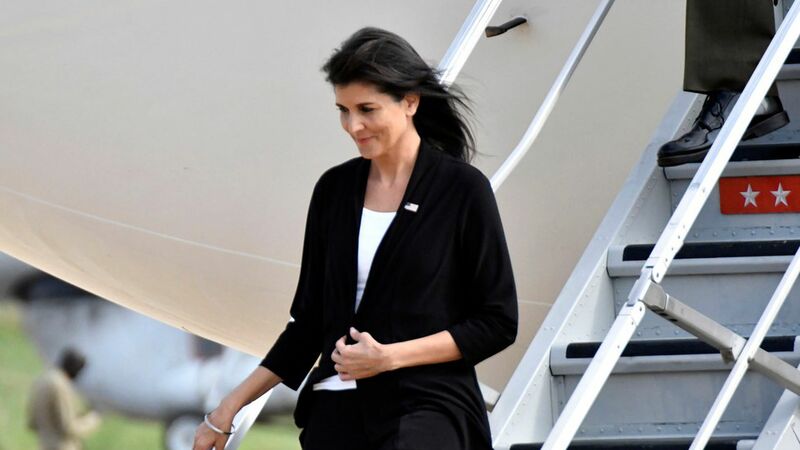 During her visit, Haley said: "We are disappointed by what we are seeing...what we thought we were investing in was a free, fair society where people could be safe and South Sudan is the opposite of that." Go deeper: U.S. support of South Sudan's military may have broken the law.